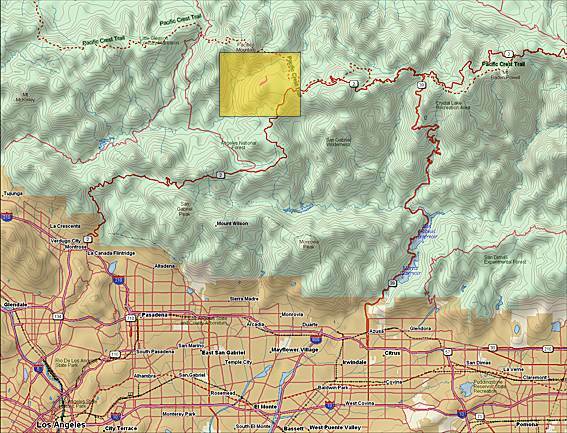 The Forest Service has agreed to consider and analyze our proposal for a new trail on Mt Hillyer, located in the Angeles National Forest. The proposed new trail will be approximately one-mile in length, and may include technical trail features and enhanced natural technical trail features. The proposal includes additional features to be added along part of the existing Mount Hillyer Trail. These would not affect the existing primary line of the trail, but would be added along the side of the existing trail. This will allow hikers and less adventurous riders to stay on the existing primary line of the trail if they choose. 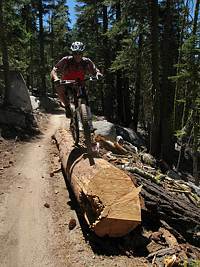 The Mount Hillyer area is perfect for this style of trail. The natural terrain lends itself to challenging lines, and the addition of features will make this already excellent trail system even better. A new Kiosk may be installed at the trailhead with a map of the area and other trail user information. The Bikes Belong Coalition has agree to provide a $10,000 grant once final project approval is received from the Forest Service! CORBA has committed $6500 from our general fund for this project. The CORBA Trail Crew hopes to begin construction sometime in 2009. Once the groundbreaking date is set (pending funding and final Forest Service approval), it will be announced here and in our e-newsletter. With the expected success of this project, we are hopeful that this will open the door for similar projects with the Forest Service and other land management agencies. Sign up for the e-newsletter here to receive updates on this project via e mail. Click the map to open a detailed PDF map (1.9 MB) illustrating the proposed route, shown by the yellow rectangle above. 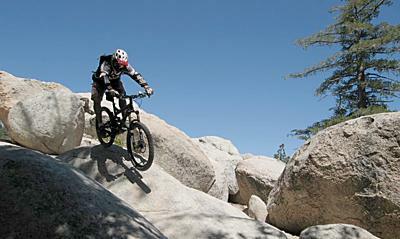 The new trail is a 30 minute drive from the 210 and Angeles Crest Highway in La Canada. There are several campgrounds in the area making this an ideal place for a weekend get-a-way. The following people and organizations have made generous contributions to this project, for which we thank you! Note: We are not taking donations at this time pending final approval from the Forest Service.